Let's be honest, the first thing on our minds in the mornings is coffee – that caffeinated goodness that jump starts our brains and helps us get through the day. 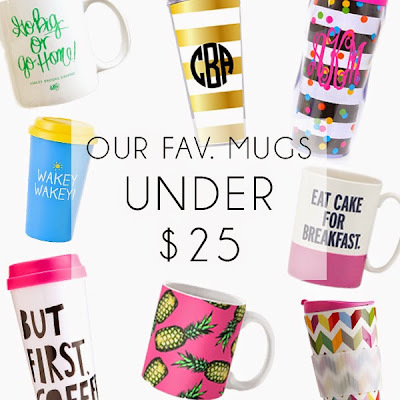 Whether you're a Starbucks-aholic or you prefer cocoa, cider or tea as your pick-me-up, we can all agree that having the perfect mug is essential. 1. 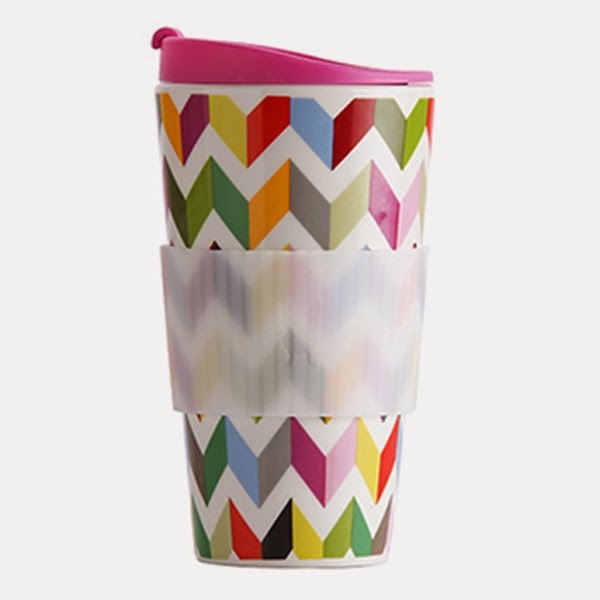 French Bull Ziggy Traveler Mug ($20) // If you're looking for the perfect combination of style and practicality, these eco-friendly travel mugs from French Bull are for you. 2. 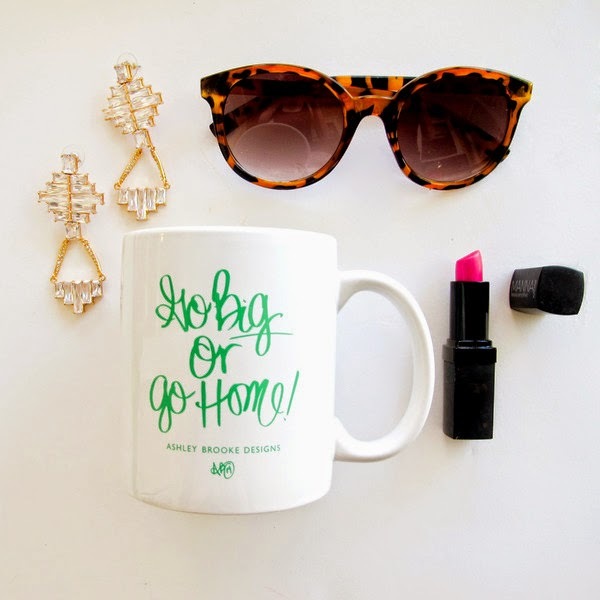 Go Big Or Go Home Coffee Mug ($23) // This adorable mug from Ashley Brooke Designs is just what you need if you're looking for a little inspirational push. 3. 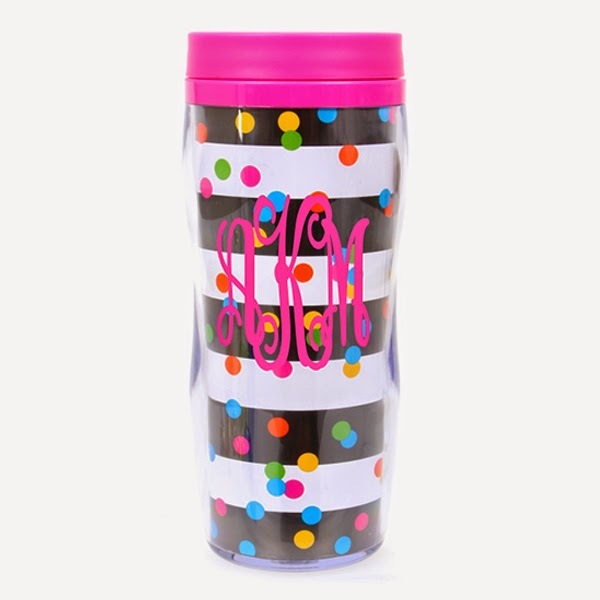 Monogrammed Confetti Travel Mug ($25) // Brighten up even the gloomiest of mornings with this vibrant and fun monogrammed travel mug from MARLEYLILLY. 4. 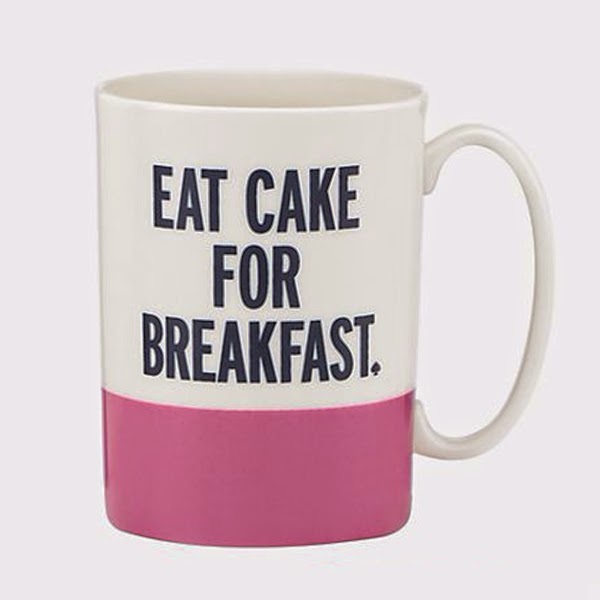 Eat Cake For Breakfast Mug ($20) // If you believe that mornings are improved when you eat cake for breakfast, this adorable Kate Spade mug is the perfect sidekick. 5. 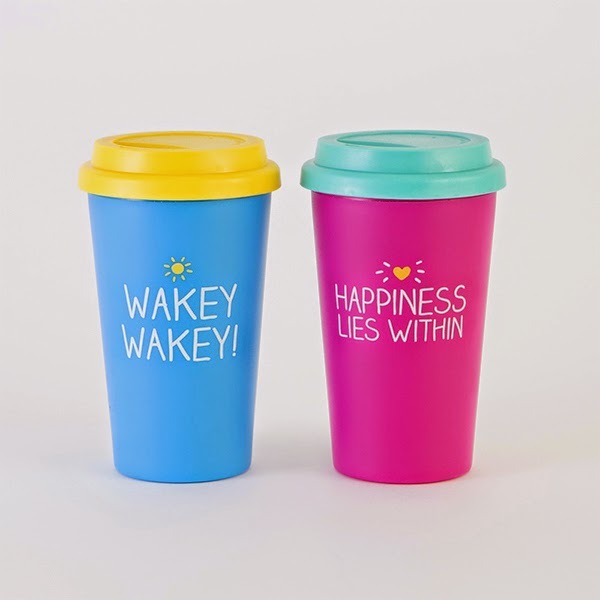 Wakey Wakey Travel Mug ($12) // These cheerful and bright Happy Jackson travel mugs are the perfect pick-me-up to get you going on your morning commute. 6. 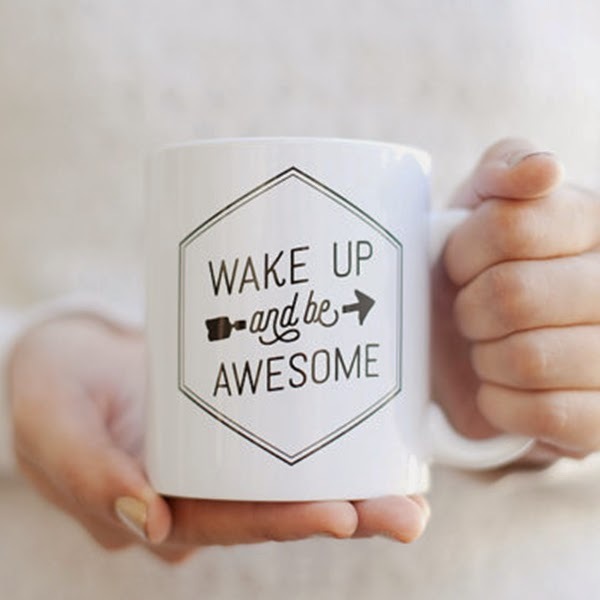 Wake Up And Be Awesome Inspirational Mug ($18) // Some days you just need a reminder and there's no better way to set the mood than this cute Small Glow mug we found on Etsy. 7. 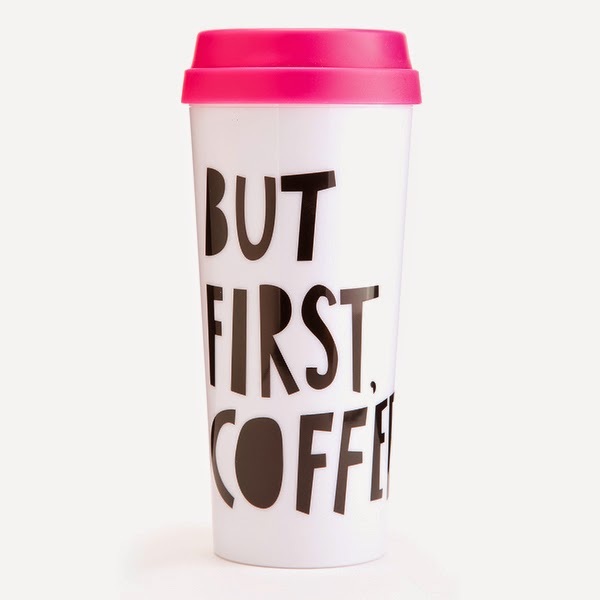 Hot Stuff Thermal Mug – But First, Coffee ($14) // For the firm believers that coffee always comes first, this ban.do travel mug is a must-have. 8. 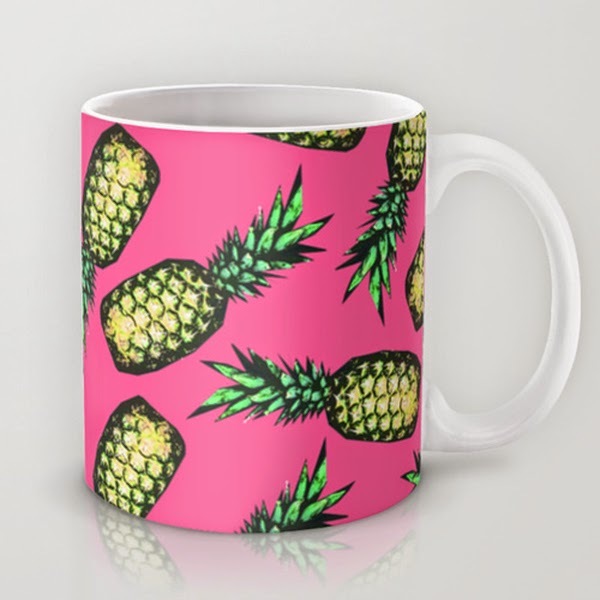 Pineapple Mug ($15) // Summer deserves the sassiest of mugs to match the warm weather and high spirits and this Georgiana Paraschiv mug from Society6 is just that. 9. 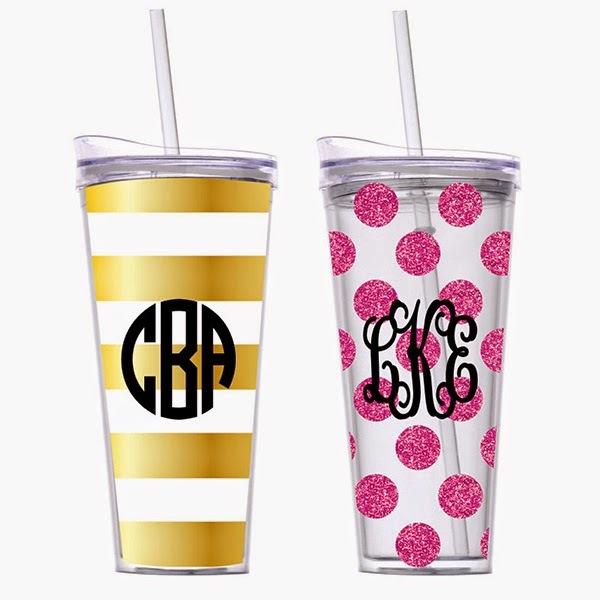 Monogrammed 22oz Tumbler ($25) // Take it from hot to cold with these adorably stylish monogrammed convertible to-go cups from MARLEYLILLY. 10. 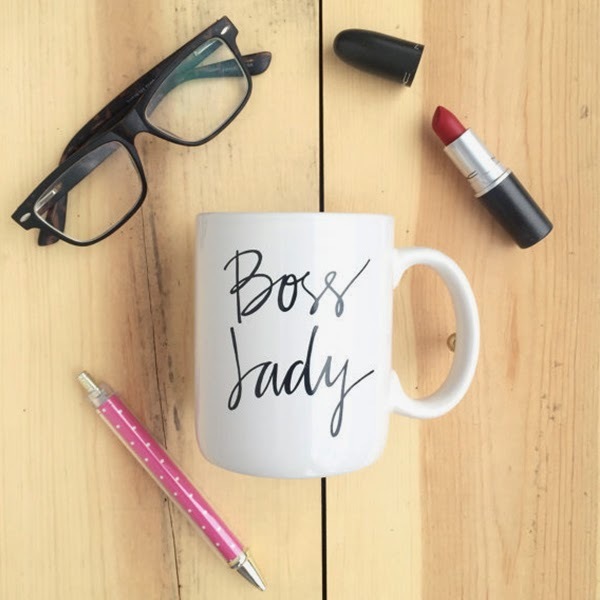 Boss Lady Mug ($18) // Last, but not least, this cute Thicket + Thatch mug that gives you the daily reminder that you are the boss-lady. Needless to say, these mugs are our most favorite for under $25 and must-haves for any mug collection! We are always looking for new additions to our collection... comment below with some of your favs.